Total Score: 8.42 - ULTIMATE ENTHUSIAST AWARD! Introduction: We kick off our look at the NRX series with the finesse oriented drop shot rod, the 822DSR. 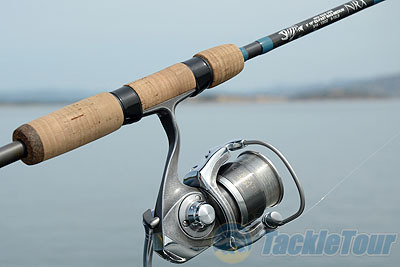 This rod makes use of the company�s new blank technology and features a hybrid guide design. Does this high-end drop shot rod really deliver on all fronts when it comes to weight, sensitivity and durability? Lure Wt. 3/16 - 1/2oz. Impressions: The NRX Series got off to a good start when they were well received at last year�s ICAST show taking home both the overall �Best of Show� and �Best of Show in the Freshwater Rod Category.� The launch was a major undertaking for the G.Loomis brand which is deeply rooted in tradition. The is new series of rods feature a number of firsts for G.Loomis including use of a brand new blank material, a split grip, skeltonized reel seat on the casting models, and a hybrid guide design. 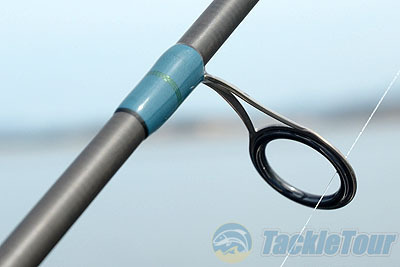 While some of these design elements are commonplace on custom rods much of this was a radical departure for G.loomis. One of the key people behind G.Loomis is Brand Manager Justin Poe, who was also heavily involved in the launch of the Shimano Cumara and Cumulus rods. It is pretty clear some of what was successful from previous Shimano launches was carried over into the NRX design, including the use of split grip and the open reel seat design. For some die-hard Loomis fans these changes were shocking, other anglers were thrilled and pondered as to just why it took so long to implement some of these designs. 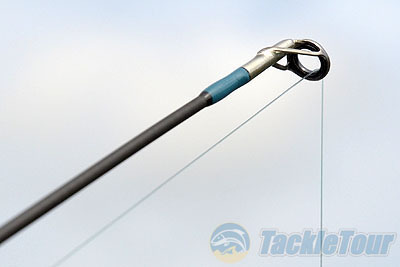 The NRX rods also broke the mold of what anglers might expect in terms of look and feel and the bright blue threading was somewhat polarizing at first. I personally really liked it, not only because it stood out versus the rest of the G.Loomis line but because it showed that the company was willing to take chances. While most bass anglers responded positively to the new motif it took fly fishermen a little longer to warm up to the radical design. 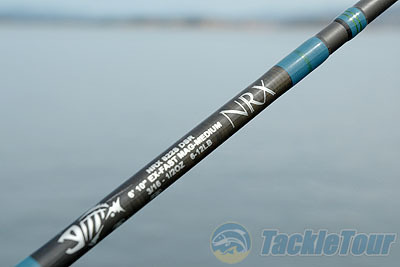 The NRX rods make use of a brand new material that is very different than the ultra high modulus GLX graphite. This new graphite is an ultra high density carbon that is infused with Nano Silica resin systems, the result is a blank that is designed to be lighter, more sensitive, and 20% more durable than GLX. Those are some pretty big claims! The NRX�s hybrid guide system is utilized on both casting and spinning rods and features both Fuji titanium-framed SIC guides and REC recoil black ion coated nickel-titanium guides strategically placed on the blank. 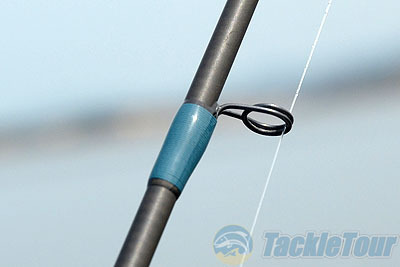 The result is a very clean looking implementation that is designed to handle the complete gamut of fishing lines.